Economics is the study of resource production and distribution via individual optimization and strategic interaction. Nowhere is this body of knowledge more important than in the development of distributed systems in which a large number of individuals must coordinate their actions to create joint value. 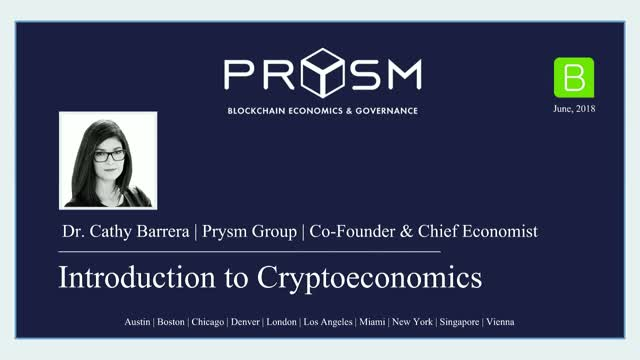 In this session, Dr. Cathy Barrera, co-founder and chief economist at Prysm Group, will discuss the three levels of analysis at which economics can be applied to blockchain technology--the ecosystem level, the protocol level, and the app level——and present lessons development teams should learn from each.